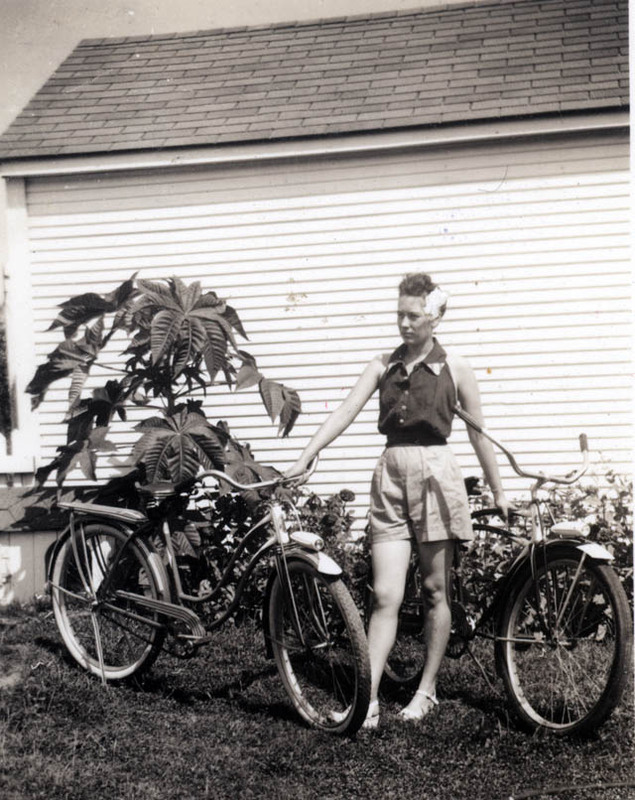 Wife Lila was looking for some old pictures when she ran across these two shots of our mothers holding bicycles. 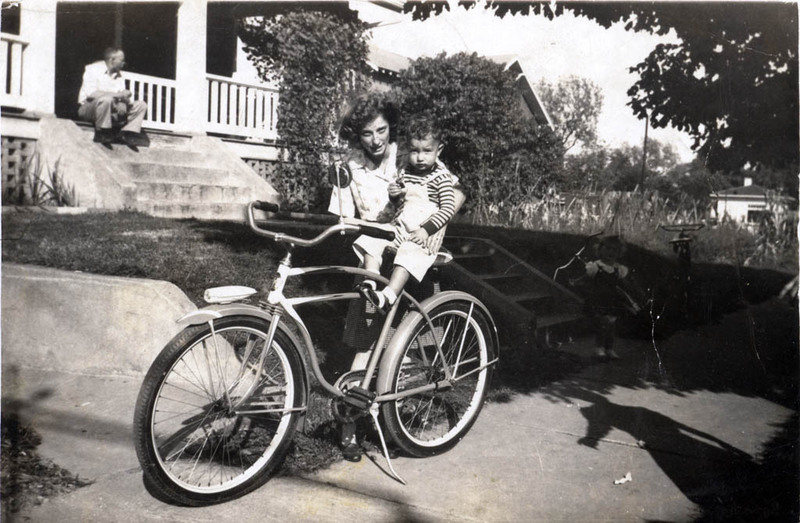 Mother is holding the two bikes she and my dad, L.V. Steinhoff, rode from Cape Girardeau, MO, to Advance, where she grew up. I did the 72-mile round trip ride the first year I got back into biking. My experience was a lot more pleasant than hers. She talks to this day about how her legs cramped up on the ride. They really knew how to do bikes back in those days. They have fenders, racks, lights, kickstands and chain guards. They must have weighed a ton, but they look like they were built with practicality in mind. This was taken in Rolla, MO, in 1942. The man in behind the screen door with the “Dad” notation, is my grandfather, Roy Welch. 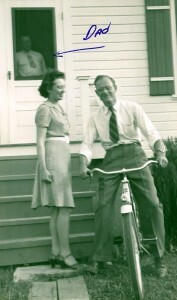 I’m still looking for pictures of the bike I used to deliver newspapers. The only one I can find so far has it way over in the corner of a picture where you can’t see much detail. Bike is widely used before as an alternative for transportation. These photos are great, worth remembering. Ever notice how older bikes seem a lot sturdier than modern ones? Sure, they may be a lot heavier, but they seem able to handle more roughness even with minimal maintenance and care. They look better to, at least in my opinion — timeless and classic. i have one of those bicycle i would like to now how much it would be worth it still ride like new.